Seven Falls is a series of seven cascading waterfalls in Colorado Springs, Colorado. 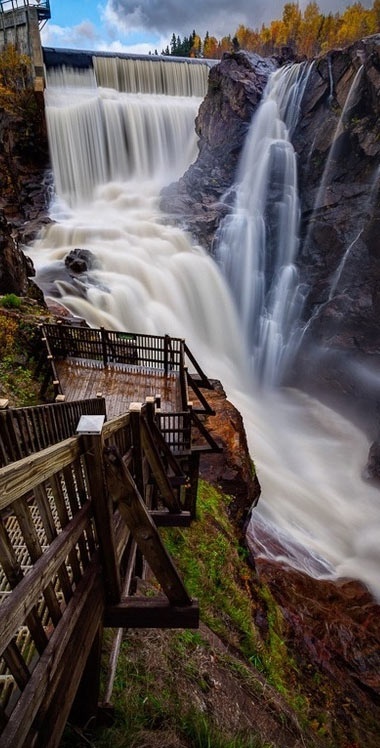 The sum of the height of the seven falls is 181 feet (55.17 m) and there are a total of 224 steps on the staircase from the base of the falls to the peak. In the late 19th century, some of the associated property was developed as a scenic resort. It was popular for a time with travelers who arrived by horse-drawn vehicles or by horseback or burro.